Property for a purpose: Using wealth to transform mental health care, written by Wayne Thompson. Mr. Herman and Wells Fargo have been working together since the 1980’s, to read more follow the link below. “Returning from his duty as a sailor in World War II, Herman would draw on the tough love and lessons from his childhood often when work was scarce and jobs were few. 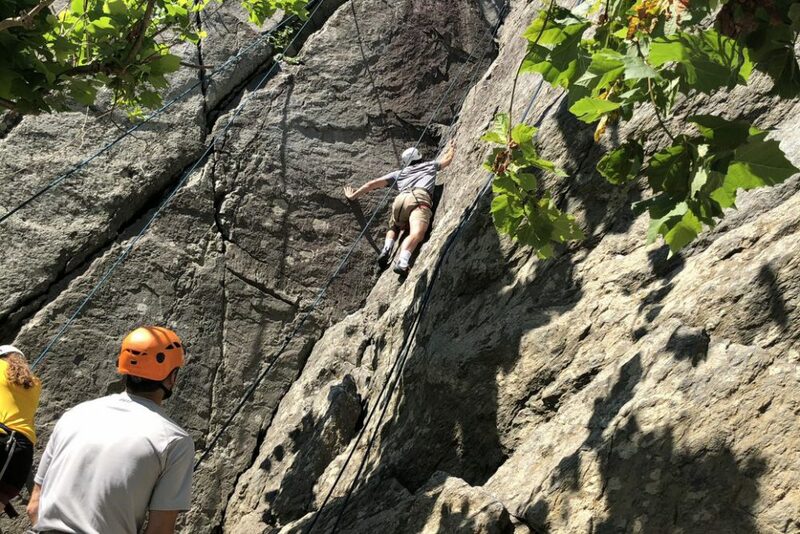 A group of 3 staff and 3 residents met up with the staff from Camp Big Horn and went top-rope climbing at Great Falls Park in Virginia. 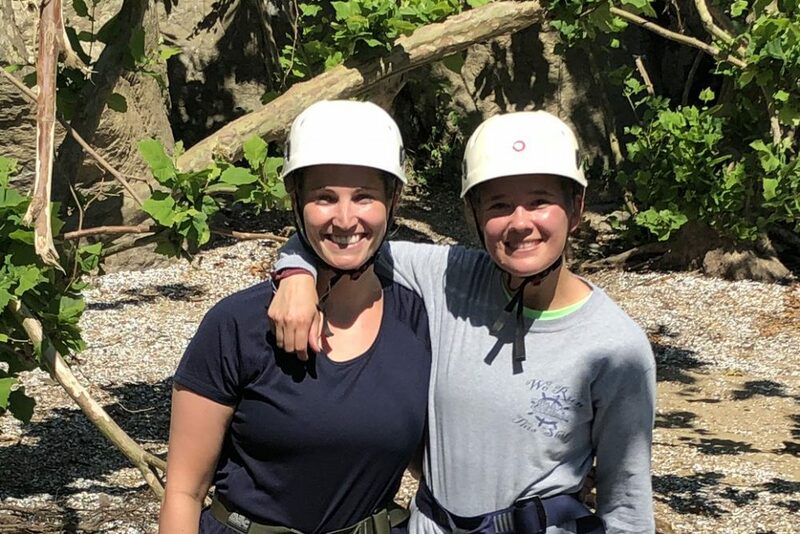 The goal of the experience was confidence building, trust and belief in self, problem solving, improved coping strategies among others. According to Josh, the Director of Camp Big Horn East, and all of the CVC folks that attended, they achieved those goals and more. Ask anyone and they will tell you, no matter how much cheer and excitement the holiday season brings, the holidays can be stressful. This is especially true for anyone living with mental illness and their loved ones. As some of our Residents at Clearview Communities prepare to go home and spend time with their families or have loved ones come into town for a visit, we try to prepare them as best we can for positive experiences. I asked our Program Director, Aaron VanDermeer to talk a little bit about preparing both Residents and their families for the holidays. I asked Aaron for more specifics on what steps are taken to prepare Residents for visits home. · The holidays tend to mess with our schedules and sleep patterns – DON’T allow it to mess with your progress! Make sure you get adequate sleep and if you need to, set alarms on your phone to remind you to take medication. It’s not only our holiday wish for our Residents and Families to experience healthy, positive interactions – we strive to achieve this all year long. At ClearView Communities, we thank you for your support and look forward to partnering with you in 2018 in the pursuit of excellence for mental health treatment. ClearView Communities in Frederick, MD recently completed treatment with our 100th resident. 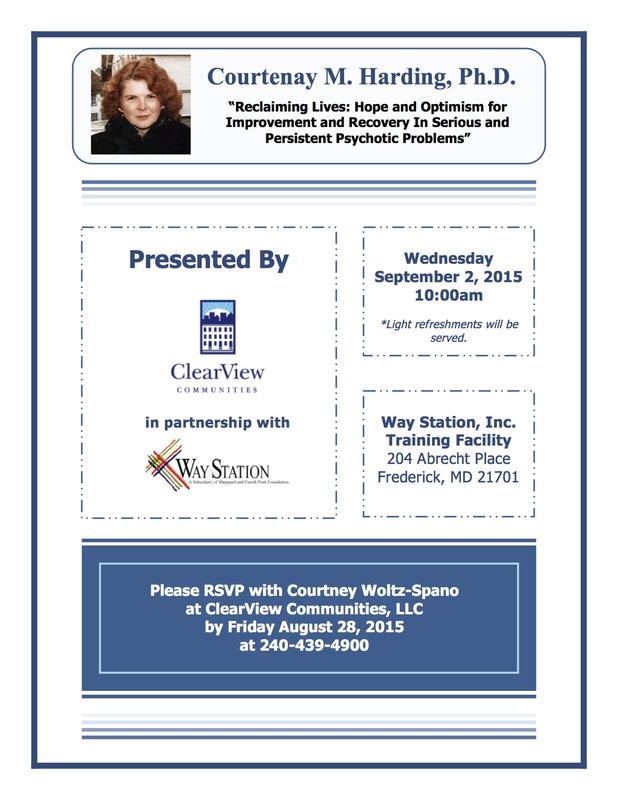 We are pleased to offer community integration programming for residents with serious and persistent mental illness. Longitudinal data on this population has indicated that people with serious and persistent mental illness are underemployed, often struggle with substance use disorder, experience other serious health concerns, and typically have a life expectancy approximately 25 years shorter than the average person. Quality programming can positively influence those outcomes. Elements of the Clearview model include: psychiatry, individual and group therapy, crisis intervention services, evidence-based supported employment, milieu therapy, art therapy, yoga, and exercise. The primary purpose of the program is to help residents get and keep jobs, enroll in post-secondary courses, and/or volunteer in the community. We believe that this model can be highly effective with those we serve. The majority of CVC residents who have completed the program are living on their own with minimal supports. In 2016, at any given time, 75% of ClearView residents were meaningfully engaged in community integration activities. On average 65% of residents who wanted to work became competitively employed. Success is hard fought. It does not happen for everyone. About 2/3 of CVC residents who have been admitted to the program have experienced successful outcomes. Anyone who says that their model has solved the problem of treating people with mental illness, has stopped asking the right questions. Mental illness is a public health crisis. Continued and sustained efforts must be made if the collective “we” can hope to help people struggling with mental illness to live quality lives and to actively participate and contribute within their communities. ClearView’s mission is to provide a superior therapeutic residential experience for persons with serious mental illness. We try our best to fulfill that mission and continually strive to learn and be better. Community Integration and recovery-based models are the way to go. 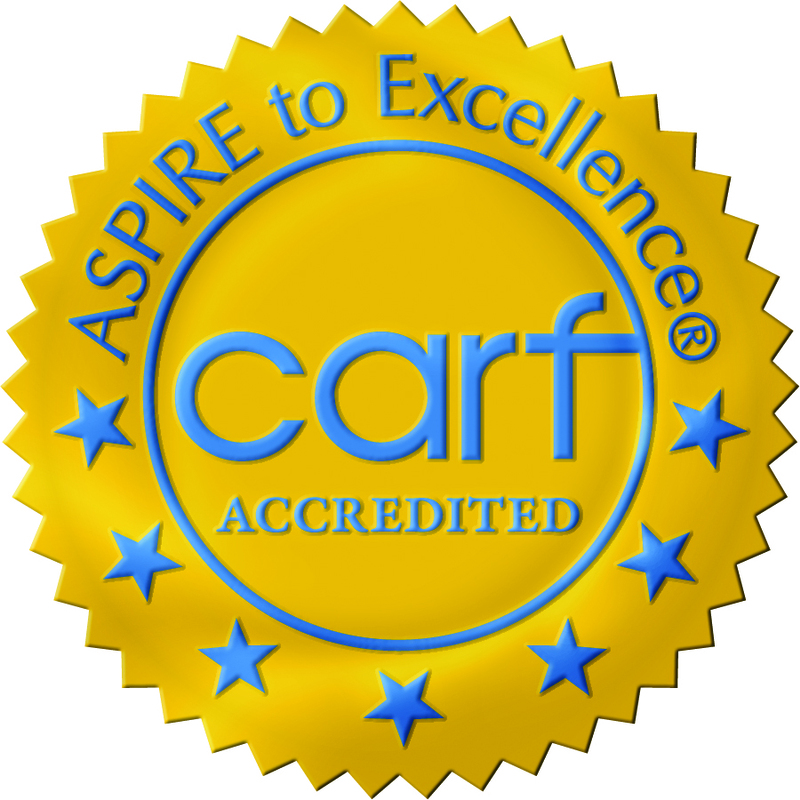 ClearView Communities is proud to announce that it has achieved accreditation through the Commission on Accreditation of Rehabilitation Facilities (CARF) for 3 years as a Residential Treatment Program for adults with mental illness. MINNEAPOLIS — Joining Mayo Clinic’s previously announced effort, two other Minnesota hospitals want to establish short-term housing for adults with psychiatric illnesses amid a backlog in the state mental health system. Like Mayo, Hennepin County Medical Center in Minneapolis has made plans to develop housing for patients who may be ready for discharge from the hospital but need more therapy before returning to their own homes. Regions Hospital in St. Paul is considering developing a 16-bed residential treatment center that will help patients after they’re discharged from area hospitals. The new “recovery homes” will serve more than 400 adults with mental illnesses every year. They’re expected to relieve pressure on hospitals that have become overwhelmed by a surge of patients suffering mental health crises. Mayo Clinic is partnering with a non-profit organization to build and manage two residential houses by its Saint Marys hospital campus for patients with mental illnesses. The Sylvan C. Herman Foundation, which created the ClearView Communities in Frederick, Md., is driving the project as well as financing it. The plan is to build two houses on Mayo Clinic land along 14th Avenue Southwest, across from the Saint Marys Campus. ClearView Communities is proud to announce the opening of our new, state-of the-art office/treatment center and additional 8 bed residential treatment facility in Frederick, MD thanks to the incredible generosity of the SC Herman Foundation. ClearView Communities now has the capacity to serve 28 people with serious mental illness in four beautiful homes throughout the city of Frederick, MD. The new office/treatment facility offers the following well appointed treatment spaces: teaching kitchen, nursing suite, Art/yoga studio, fitness machines, computer lab (Cognitive Remediation), TV/game room, library, and a large multi purpose Great Room for dinners, staff meeting, professional development, and weekly community dinners. Please call to set up a tour or if you are interested in talking about a possible admission to the program. Pictures are coming soon!! 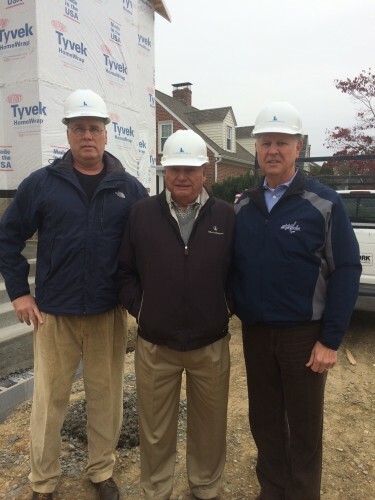 The construction site of our new treatment facility and group home was visited today by Founder and Benefactor, Mr. S. C. Herman, his Executive Vice President, Mr. J. Scott Ogden, and our own Executive Director, Dr. Eric Levine. New research from the Recovery After an Initial Schizophrenia Episode (RAISE) project, which was funded by the National Institute of Mental Health (NIMH), was released yesterday and will be published in the American Journal of Psychiatry. The investigators in this study trained clinical teams at “real-world” clinics around the country to use a coordinated and intensive model of treatment for young people suffering from the beginning stages of schizophrenia. The treatments that were offered included recovery-oriented psychotherapy, low dose antipsychotic medication, family education and support, case management, and supported employment or education. Patients who received this type of care had much better outcomes than patient receiving “treatment as usual” in typical-care sites. We at ClearView were very excited to see these results! This is the type of treatment that we seek to provide and for which we have been advocating since we opened our doors. It is our sincere hope that as the evidence base for this model of treatment expands it will be made available more generally around the country. Clearview Communities Medical Director, Dr. Michael Knable, will be speaking at the Mental Health Association of Maryland Brain Futures conference on November 5. 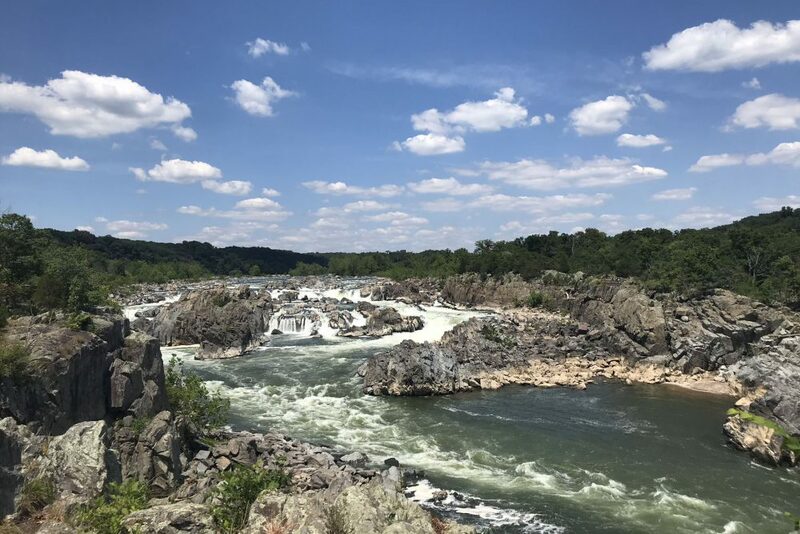 The Brain Futures conference marks the 100th anniversary of Mental Health Association of Maryland and will include many interesting talks on recent advances in mental health treatment. The attached podcast aired on October 19 on WYPR Annapolis and gives an introduction the conference. Click to listen: Dr. Michael Knable’s WYPR Annapolis interview. Our local YMCA of Frederick County was affected by the recent heavy rains and sustained significant flooding damage. They have setup a gofundme.com site for the collection of donations to aid in clean up and repair efforts. At around 9:30pm on September 29th, the Downtown Y building at 1000 N Market St received extensive water damage. Due to environmental concerns, the Downtown Y building will be closed for a minimum of 5 days. In response to the outpouring of concern by the community, the YMCA of Frederick County has set up a fund to help defray the cost necessary for the repairs and refurbishment of the Downtown Y and Early Learning Center. We would like to thank anyone that is able to offer their financial support during the cleaning and rebuilding process. Dr. Eric Levine, Ed. 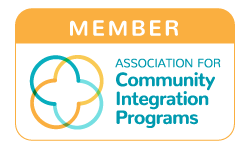 D.
ClearView Communities (CVC) has joined with Prakash and Ellenhorn, the Menninger Clinic, Westbridge, and a number of other residential rehabilitation programs to form the Association of Community Integration Programs (ACIP). The Association met for its inaugural conference at the Menninger Clinic in Houston, Texas from June 2-4. The mission of the Association is to bring programs together whose main goal is to assist persons with mental illness become more fully integrated in their respective communities. The conference brought together a cross section of programs from around the country. All of the programs serve persons with serious and persistent mental illness and are committed to maximizing independent community functioning. The plan moving forward is for the ACIP to meet for an annual conference in Houston . We were fortunate to have Dr. Peter Fonagy, of the Anna Freud Center, speak about Epistemic Trust and Building Resilience in Individuals in the Community. Dr. Fonagy is a true leader in the field and an excellent speaker. Much of what he discussed was directly applicable to our efforts at CVC. Dr. Courtenay Harding, from the Foundation for Excellence in Mental Health Care, spoke about long-term outcome data in schizophrenia. Her groundbreaking work serves as a foundation of hope that positive outcomes for persons with schizophrenia are possible. Many thanks to Dr. Ross Ellenhorn and Edward Levin for spearheading the development of the ACIP; and to Jeff Bliss, the CEO of the ACIP, who worked tirelessly to get the initial meeting off the ground. ClearView Communities is proud and excited to announce that it will be breaking ground on its new state-of-the-art treatment center/office space in late May or early June 2015. Thanks to the on-going generosity of the SC Herman Foundation, ClearView will be renovating a historic home and building another 10,000 square feet of treatment space onto the existing structure. The building will house administrative offices, therapy and wellness space (art, music, and exercise rooms), medical and nursing offices, and a kitchen that can be used for teaching. This beautiful new facility will also house a computer lab, library, and space for quiet reflection. The property sits on about three acres in downtown Frederick, MD and will be generously and tastefully landscaped. Congratulations to our Team Members in accepting the following positions. Aaron Vander Meer, MSW has been promoted to Program Manager. Under the direction of the Executive Director, Aaron will be managing the residential program schedule. He will be providing oversight and direction in all aspects of resident life here at ClearView Communities. Aaron will now be supervising the Senior House Managers as well as the Employment Specialist. Aaron will also be responsible for the development and maintenance of staff schedules. Christine Van Horn, LCPC has been a part of the ClearView team part-time since September 2013. She has accepted a full-time position with us effective May 2015. Christine will now be providing additional group therapy and individual session services to our residents. She joins Lynne Kessler-Peters and Annie Quinlan. Under the supervision of Caroline Cantrell, Clinical Director and Dr. Michael Knable, Medical Director these experienced and highly qualified individuals provide clinical services to the residents and clients of ClearView Communities. Laura Sinclair has been a Recovery Coach with ClearView since February of this year. She has been selected as the new Employment Specialist. Laura will be working closely with residents in seeking employment utilizing the Dartmouth Evidence-Based Supported Employment model for working with persons with mental illness. Katelin Lindamood has been a Recovery Coach with ClearView for several years. She was recently selected as the Volunteer Coordinator. Katelin will be coordinating community engagement activities to provide opportunities for our residents to get involved and give back the community around them. We extend congratulations to our Medical Director, Dr. Michael Knable, who was recently selected as a “Top Doctor” in Psychiatry by Washingtonian Magazine for 2015. We also extend a welcome to Dr. Benjamin Vitiello who joined the Clearview staff on April 1. Dr. Vitiello is a graduate of the University of Pavia Medical School and has served as the Chief of the Treatment and Preventive Interventions Research Branch at the National Institute of Mental Health. He is also an Adjunct Professor of Psychiatry at Johns Hopkins University and has authored more than 200 publications on various aspects of psychiatric treatment and epidemiology.